Once again, July is Spanish Lit Month, hosted by Richard at Caravana de recuerdos and Stu at Winstonsdad’s Blog. A little later than planned, I’m joining in. Today I’m looking at another title from the Peter Owen/Istros Spanish Spring trio (the last I reviewed was Inventing Love). 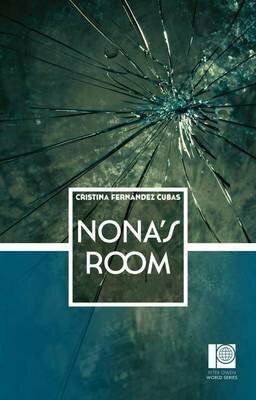 The author biography tells me that Cristina Fernández Cubas is one of Spain’s most highly regarded short-story writers — and that Nona’s Room is her first book to be translated into English. 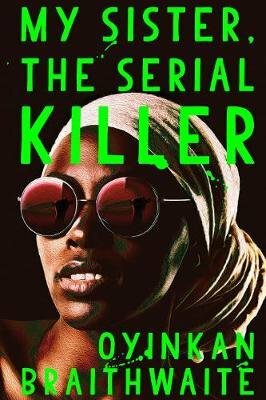 After reading these six stories, I can see why Cubas has such a high reputation; and I’m keen to read more of her work. Because my life was very different before Nona came into the world. I don’t remember it very well, but I do know it was different. I’ve got loads of reasons to think that it was better, too. Much better. But once Nona was born things changed for ever, and that must be why I got used to thinking that my mother said those words the day she came into the world. That’s the day when I started a new life as well. My life with Nona. Yes, I am tiptoeing around something that I don’t want to reveal. But I don’t want to give the impression that this story is ‘all about the twist’: ‘Nona’s Room’ writhes and shifts all the way through, with a constant sense that something else is set to emerge. The narrator of ‘Interior with Figure’ admits to being a writer but stops short of revealing her name. Still, that mention of Nona tempts us to perceive this story as being closer to reality than some of the others. Our narrator goes on to recount seeing a school party at the gallery she is visiting, and hearing one girl who has a particularly dark interpretation of Cecioni’s Interior with Figure. 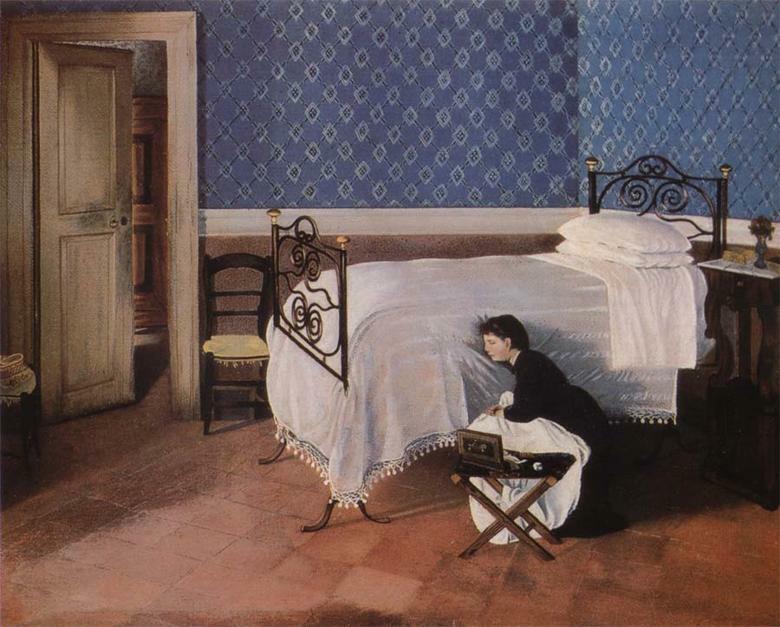 The girl speculates that the figure in the painting is hiding from her parents, because she knows they want to kill her for what she has seen. We hardly spoke a word and didn’t dare look each other in the eye, but with a few drinks inside us we sorted through our thoughts and memories as if they were scenes from a film fast-forwarding at a frenetic pace and featuring only two protagonists: Barbro and our father. And when we remember her appearing on the doorstep barely a week earlier it seemed as if years and years had gone by. They weren’t the same, and neither were we. The effect of this narration is quite eerie, because we lose sight of the sisters’ individual lives and personalities (perhaps reflecting how they feel squeezed out by Barbro), which makes it harder to imagine them as characters. In turn, that makes the story’s sense of reality unstable… and there we’re back to the normal state of affairs in Nona’s Room. Stu has reviewed Nona’s Room here; I like his comparison to Roald Dahl’s stories. You can also read an extract from the title story here at the European Literature Network. Nona’s Room (2015) by Cristina Fernández Cubas, tr. Kathryn Phillips-Miles and Simon Deefholts (2017), Peter Owen Publishers, 160 pages, paperback (review copy). The book I’m talking about today is part of Peter Owen Publishers’ ‘World Series’, which is published in association with Istros Books. Twice a year, they publ ish a set of three titles from the same country or region; Spain is the country of choice this spring. The publishers have kindly sent me a set of the books, so I’ll be looking at all three in the next few weeks. I’ve always avoided the word ‘love’. It’s a noun that’s been devalued, a coin so overused that it’s been rubbed smooth, so that you could hold it between your fingers without feeling the relief design, a coin that I wouldn’t dare use to pay for something in case I was accused of being a fraudster…Does anyone really use it? Do couples really gaze into each other’s eyes and say ‘I love you’? One night, Samuel receives a phone call telling him that his lover, Clara, has been killed in a car crash. The thing is, Samuel has never known anyone called Clara. Seizing the chance to add a little colour to his life – and curious as to who this Clara might have been – he goes along to the funeral. None of Clara’s family or friends knows what ‘her’ Samuel looks like, so it’s easy enough for ‘our’ Samuel to step into the role. After the funeral, he is approached by a woman who turns out to be Clara’s sister, Carina. She’s heard a lot about Samuel, and is curious about this man who led her sister to have an affair. Carina gives Samuel her card; over time, they get talking – about Clara most of all. At first, it’s Samuel who gets to learn about Clara, allowing him to build his mental picture of this young woman he never knew. But Carina wants to understand the side of her sister that only Clara’s lover would have known… so Samuel has an opportunity to imagine part of Clara’s character for himself, and indeed to shape the image of Clara in the minds of those who did know her. I don’t think the events of Inventing Love are meant to be taken literally – there are too many fortuitous coincidences for that. Instead, I think of Ovejero’s novel as a space to explore what it means to have a mental picture of someone else, by stretching the concept to such an extreme. We share our lives with strangers. We can live with someone for decades and not know how she really feels when she says ‘I love you’ or replies to a question with the words ‘I’m not angry.’…We live with fantasies we create for ourselves in order to explain to the other person and to create a relationship that reassures us and gives us what we want. He’s right in a strict sense, in that we are all individuals without direct access to each other’s minds. But then again, it’s not as if Samuel has made much of an effort in the long-term relationships department, so how sure can he be that it’s impossible to know another person? So there you go: Samuel can gather and imagine all the detail about Clara that he may; his image of, and feelings towards, her could be larger-than-life – but the Clara in his mind will never be ‘real’. Taking a cue from the novel’s title, perhaps the key question facing Samuel is whether love is something he can invent for himself, or whether it has to be found. Read an excerpt from Inventing Love at European Literature Network. At the time of writing, I can’t find many English-language reviews of the book online. Michael Orthofer has written it up at The Complete Review; he also links to Larry Nolen’s review of the Spanish original at the OF Blog, as well as a number of reviews in Spanish. 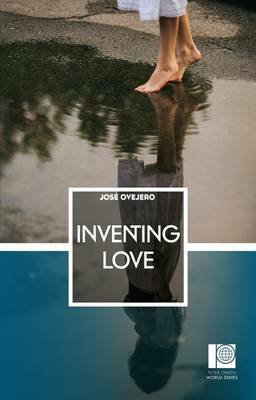 Inventing Love (2013) by José Ovejero, tr. Simon Deefholts and Kathryn Phillips-Miles (2017), Peter Owen Publishers, 219 pages, paperback (review copy). One thing that really struck me about Human Acts, Han Kang’s novel of the Gwangju Uprising, was how it made violence pervasive but incomprehensible: there is large-scale brutality in the background (and sometimes in the foreground), but the most powerful images for me are the small human movements, because that’s the level at which we can process what is happening. 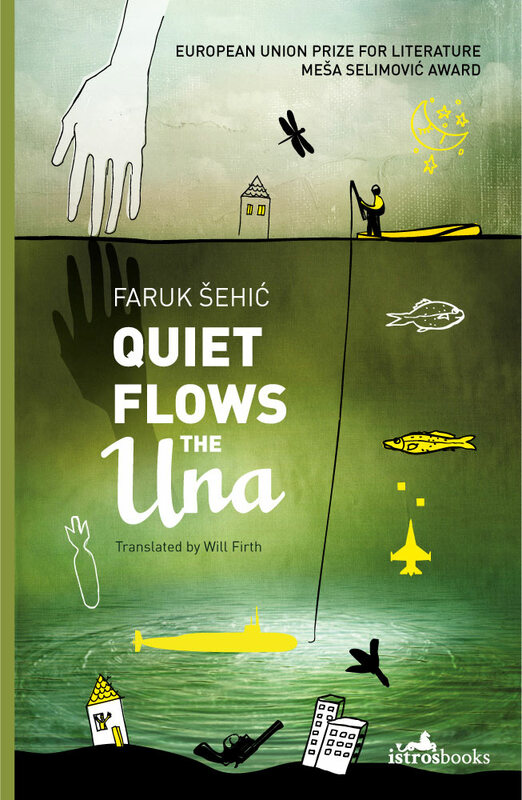 I was reminded of this when reading Faruk Šehić’s debut novel Quiet Flows the Una, which deals with the Bosnian War; because it creates a similar sense of an event that cannot be comprehended within a conventional novelistic frame. Our town grew out of people’s bond with the river. The Una is the power that holds the town together, otherwise both the river and its people would have been swept away long ago; like tortoises with houses on their backs, they would have fled far and wide. They know very well that problems vanish by simply watching the flow of the river. The river flowed as if nothing had changed. Three metres beneath the surface, in the heart of a greenhole, the silence was inviolable. The fish went about their miracles, and the acoustic impressions of an artillery attack on the dot of noon don’t reach them. The forces of nature are insensitive to wartime operations. The tree breaks in half when hit by a tank shell. It has no words to complain with. I hoped this act of description would make my objects firm and indestructible in the world that surrounded me like an endless dark forest. Everything that was gone forever could be rebuilt with words, I thought…But the loss of the pre-war world of emotions and the palpable objects that comprised it – living rooms (the universe of the intimate), books (time machines) and photographs (time conserved in crystal) – was manifested for me as extreme pain. So Mustafa’s next thought is to write a book – the book in our hands. “Writing would allow me to make myself a crutch, a substitute world.” Here, Šehić – like Han Kang in Human Acts – makes the problem of writing about his subject part of the text itself. 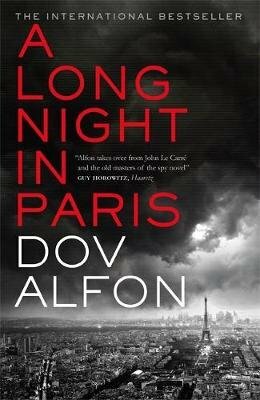 Fiction can’t capture the true reality of war, this novel suggests; but it can create a proxy in words, a space to confront something of that reality. The broken chronology of Quiet Flows the Una reflects an event and an experience which can only be glimpsed In flashes and fragments. But those glimpses are vital, in multiple senses of that word. An excerpt from the novel at B O D Y. The book’s publisher page at Istros Books. Reviews of Quiet Flows the Una at roughghosts (by Joseph Schreiber); European Literature Network (by Anna Blasiak); and the Irish Times (by Eileen Battersby). 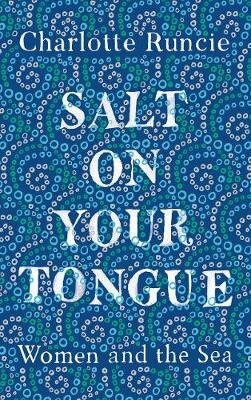 I enjoyed reading a collection of Janice Galloway’s short stories a few years back, and so was pleased when my book group selected her first novel for this month (as luck would have it, I couldn’t then make the meeting – bah!). It’s the story of Joy Stone, who is sent into a spiral of depression by events that we only gradually piece together as we follow her through daily life and a stint in hospital. Galloway’s novel is written as a collage of documents, from diary entries to magazine snippets to marginal notes – a technique that mirrors the fragmentation of its protagonist. I think it’s a shame that this book seems not to have made as many waves in its day as (say) The Wasp Factory did, because Galloway deserves to read much more widely than she is. The latest book from Galley Beggar Press is ‘written’ by the aspiring author Francis Plug, who documents his meetings with winners of the Booker Prize. Paul Ewen gets the voice of his narrator just right: earnest, and trying just that little bit too hard; whether or not that becomes annoying is probably down to the individual reader. Although Francis Plug starts off as simply amusing, as the novel progresses we start to see the desperation that lies underneath the character’s facade. There’s something of Graham Underhill about Plug; and, like Nat Segnit’s book, there’s an underlying weight and melancholy that leads to a tragicomic ending. 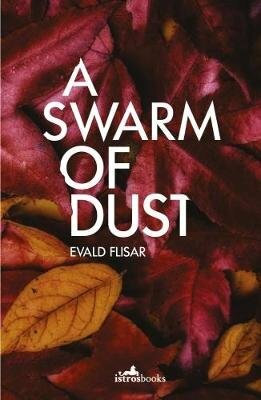 And here’s another novel about someone in the literary world which has a bitter twist beneath its comic surface. It’s the collected correspondence of Jason Filger, a professor of creative writing and literature, who writes copious letters of recommendation for his students (on paper, through the mail) and finds himself feeling increasingly out of step with the world around him. Filger’s letters reveal the absurdities of his world: students having to apply for ever more menial jobs; his department being squeezed out by those of more lucrative subjects; his own obsession with championing work of one particular student while others find that elusive success. Dear Committee Members takes a particularly sharp and bracing turn towards the end, which makes you see the book in a new light. I’ll certainly be keeping an eye out for more of Julie Schumacher’s work in the future. A collection of short stories (published by Freight Books) which, the author says, are 68% true and 32% fictional – though only she knows which is which. Anneliese Mackintosh takes us through various events in her alter ego Gretchen’s life – a precarious family life in childhood; discovery and calamity at university; grief, happiness and more in adulthood. There’s a wonderful range of style and tone in Mackintosh’s stories; it seems beside the point to single out particular pieces, when it’s the totality of Any Other Mouth which really impresses. The intensity that Mackintosh achieves across the whole collection is really quite something. 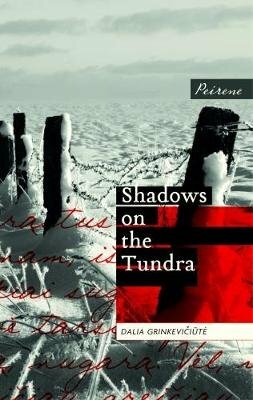 I read this book (published by Istros Books, who specialise in works from South East Europe) following my call on Twitter for recommended essay collections. It’s one of those occasions where the subject is not a natural fit for me – I’ll be upfront in saying that I’m not into politics and don’t know that much about it – but I read What Does Europe Want? out of curiosity and will find some way to respond to it. Žižek and Horvat are philosophers from Slovenia and Croatia respectively; in these essays, they explore the present and possible future of Europe and the EU. All I can really say is that I appreciated the authors’ style, and found plenty to think about. This is the second title from Fitzcarraldo Editions (following Zone), a short piece that blurs the line between autobiographical essay and fiction. Philosopher Simon Critchley describes how he was sent boxes of unpublished papers belonging to his old friend and teacher, the French philosopher Michel Haar, who had recently died. Amongst the various documents, Critchley found writings on the Renaissance memory theatre: a created space containing images meant to represent all knowledge. He also found an astrological chart which appeared to foretell his own death – which led him to an inevitable conclusion. Critchley’s book reflects on memory, permanence and obsession; and becomes ever more intriguing as the relative security of the essay form gives way to the uncertainty of fiction.